Pelikan M400 Special Edition Brown Tortoiseshell fountain pen review. The Pelikan M400 brown tortoiseshell has been a prized possession of mine for two years and for some reason I haven't reviewed it. 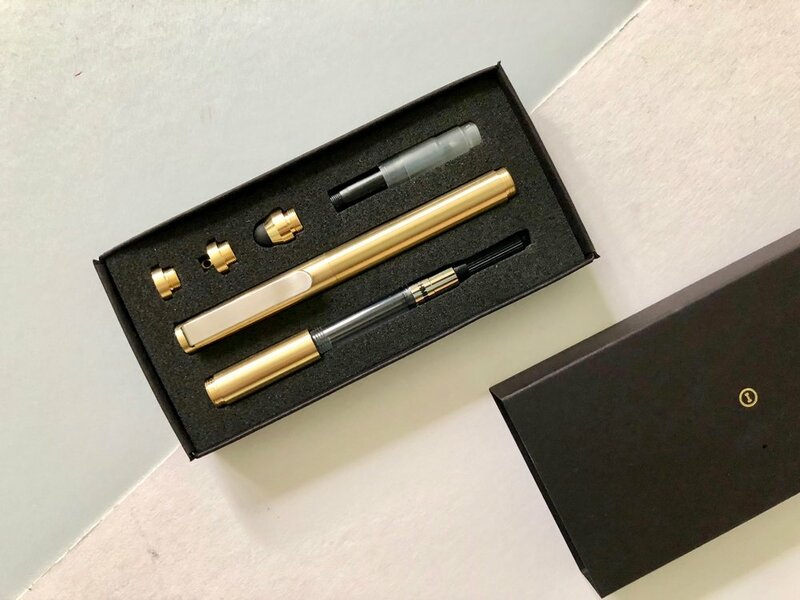 In today’s post I will give you my thoughts on this fountain pen but also a little background into my buying experience. This fountain pen is the nicest fountain pen I own. I bought it at my first London Stationery Show in 2016. I went the show curious to see what a pen show would be like and what pens would be on offer. I was on the hunt for a Pilot Custom Heritage 92 which I didn't find. Instead I was lured in by the beautiful Pelikan fountain pens and took advantage of being able to test out the different pen sizes and nibs. This proved invaluable. Initially I was looking at the 2016 limited edition M205 in Aquamarine but holding this it felt too small and more plasticity than I had expected. I was really disappointed because I’d loved the look of this online, but getting it in hand it didn’t feel special enough and I knew I wouldn’t be happy with this purchase long term. I quickly upgraded to the M400 enticed by the Pelikan Souveran in green. I had a budget in mind and this maxed it out but buying one high quality fountain pen was worth it. My husband and then newborn actually joined me at this show. This isn’t something I would normally do because I like to concentrate on my stationery shopping trips but this was a unique time. We probably thoroughly irritated everyone pushing a huge pushchair around the show but it turns out having them with me proved really useful. (My then four month old son was also given his first fountain pen, now tucked away in a drawer for future use.) My husband was the person who upsold me to the brown tortoiseshell M400. I had seen this pen from Liz’s blog posts and had already thought how beautiful it looked. The colours are classic and simple but the design really made this fountain pen look stunning. But it was out of price range for me so I'd ignored it. My husband convinced me (this part wasn’t very hard) that this was the better buy. There was only one left and it was a limited edition pen, I could buy the green any time. He sealed the deal by offering to buy the pen for me as a pushing present. (Small side note here because I am not sure if this is a common thing or a British weirdly phrased thing. So a pushing present is something you’re bought after giving birth. This can be in the form of an eternity ring or jewellery.) My eyes lit up immediately because for a stationery addict what better way to celebrate a huge life event than with stationery. This fountain pen was beautiful and would forever be associated with my son. So I bit his hand off and handed the seller my husbands card immediately. Buying at the pen show was invaluable. 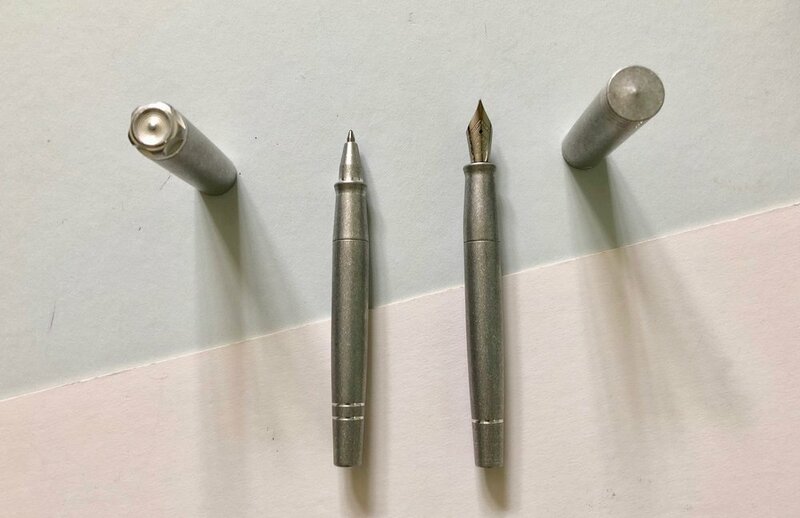 I was able to touch, feel and use the fountain pens I was interested in which showed me that the M205 wasn’t the pen for me at that particular time. Testing out the different nibs, trying a gold nib and looking at the different widths all really helped me feel confidant in my purchase. Now let’s get into the actual review itself and discuss the specific features of this fountain pen and the things I love. The M400 is a small pen. I had no concept of the size progression on the Pelikan pens and honestly I would have assumed they were bigger. Comparing this to other fountain pens I own its far smaller than the Lamy Safari/AL Star/LX, smaller than the Sailor Sapporo but larger than the Kaweco Sports. It fits almost perfectly in my hand and unposted the barrel is still a good length making it comfortable to write with. The barrel design on this brown tortoiseshell special edition is stunning. The tortoiseshell design has deep dark browns, golden tones and light almost pearly white sections. On top of the special barrel design and the gorgeous colouring there are also the other typical Pelikan elements to this fountain pen. There is the Pelikan bill style clip which I have always thought looked really attractive and makes these pens so distinctive. There is the Pelikan logo on the cap of the pen, again very subtle. Around the pen cap etched on the gold section is the name of the pen. The cap in general is really nicely designed and the graduated cap is really nice. The Pelikan M400 has a piston filling mechanism. It has a good ink capacity and is really simple to fill up. As its not a demonstrator pen it does make it a little tricky to see how much ink is left in the pen, but I hold it up to the light to give me an idea of how much ink I have left. The brown tortoiseshell has gold furniture. 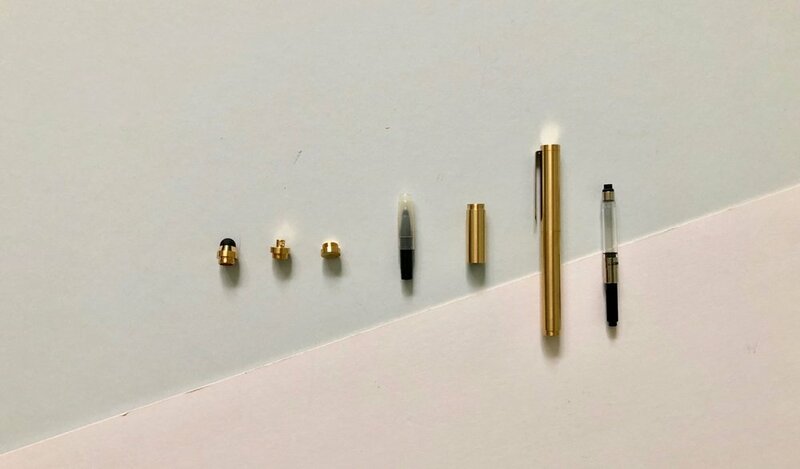 I have a 14K gold extra-fine nib. The nib has the iconic Pelikan design and is a two-tone. As this is a German fountain pen the extra fine is actually not that fine. It’s a really nice width but feels a lot more like a Japanese medium nib. The nib really is very different to anything I have ever used before. This is my first gold nib and my first Pelikan nib. I’ve really enjoyed the softness of the gold nib. It really changes the writing experience making it feel almost luxurious. The nib is wet too which means you get a good amount of ink on the page and if you pair this with a nice ink the results are magical. I have mine inked up with the Sailor Waga-Uguisu and its a match made in heaven. Buying an expensive pen comes with a lot of expectations. You want it to live up to the price and therefore the writing experience becomes more important than it would on entry level pens. The M400 is smooth and light in the hand. In the two years I’ve had this pen I have had it inked the whole time and use it regularly. It’s such an enjoyable pen to write with, especially for long form writing. It may seem obvious but I love this pen for all sorts of reasons. I love the design of the pen and its colour. I love using the nib and how it writes, it’s just so smooth. Being my only gold nun pen it makes the M400 stand out against any other I own. I love the size of this pen, it works perfectly for me, but I also love what this pen means and what it represents.